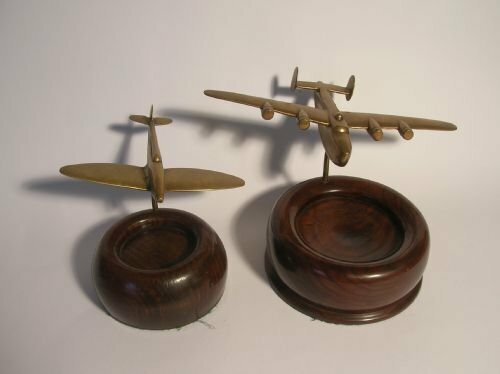 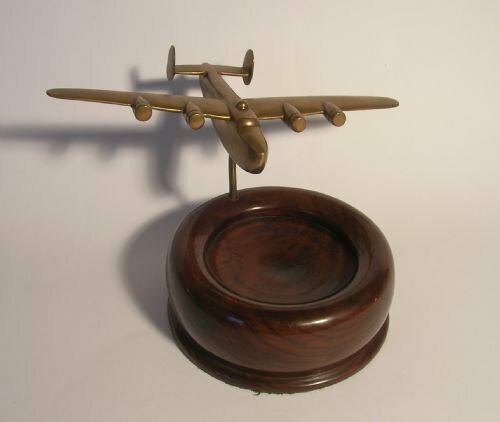 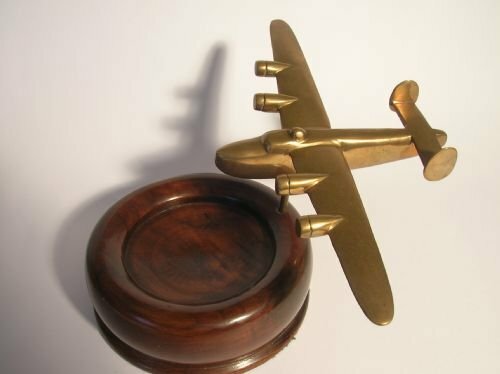 This is a sculpture in brass of a Liberator B24 Bomber on a mahogany base probably intended for a gentlemans dressing table (for studs, cufflinks etc) or as a desk ornament. 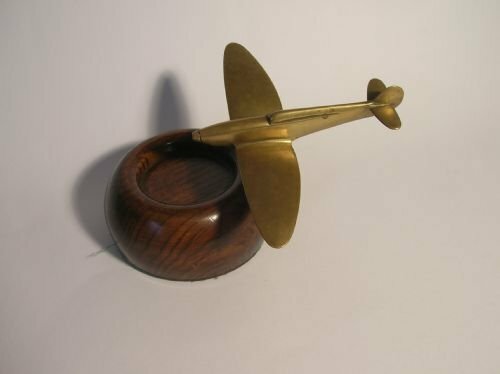 Sometimes this is referred to as "Trench Art", though this looks to have been created by a very competent modeller probably on a commercial basis. There is a sister piece to this of a "Spitfire". 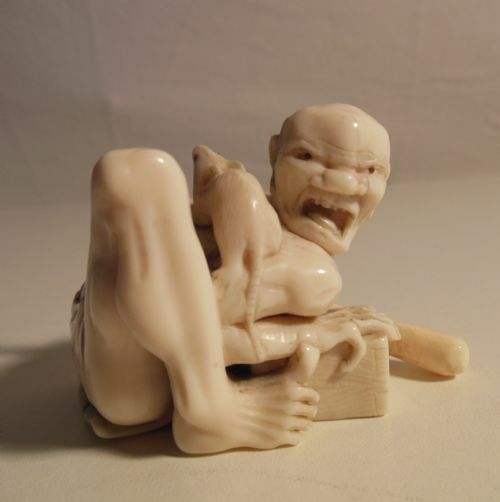 "The Disappointed Rat Catcher" was carved by Shoda Koho (1871-1946) during the Japanese Meiji period. 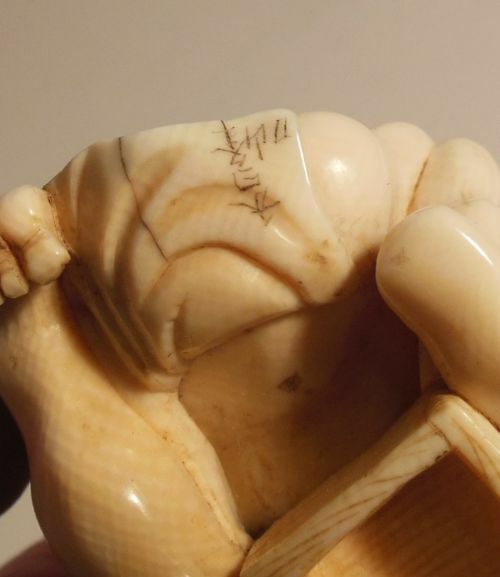 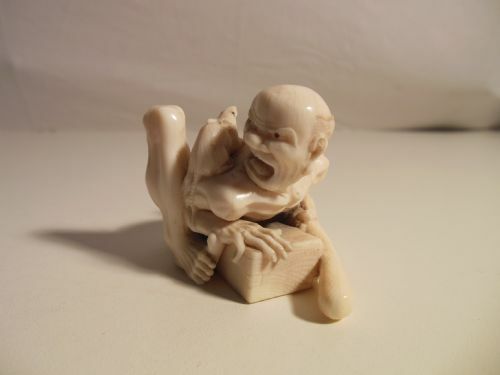 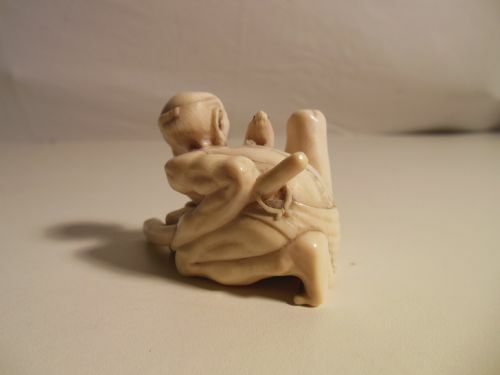 Displaying the carvers art this ivory okimono is in excellent condition. 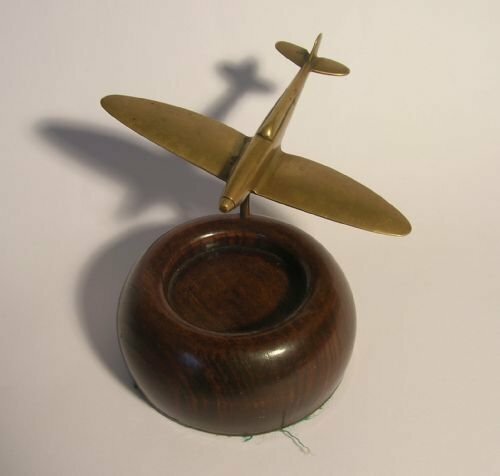 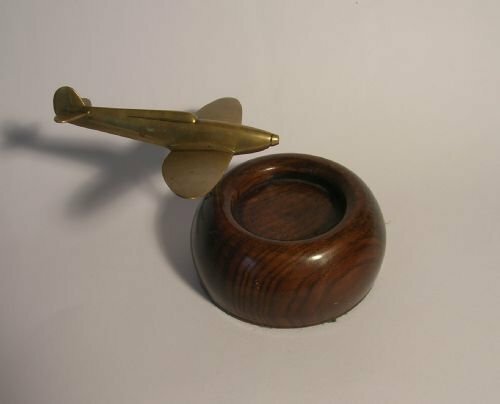 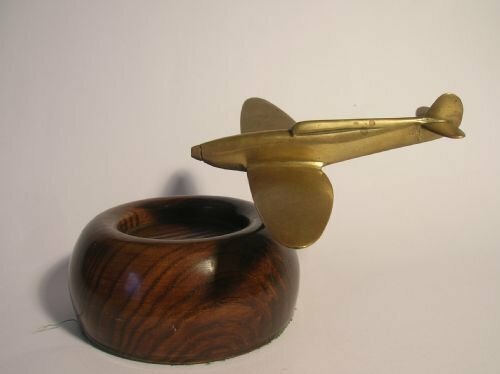 This is a sculpture in brass of a fighter (Spitfire) on a mahogany base probably intended for a gentlemans dressing table (for studs, cufflinks etc) or as a desk ornament. 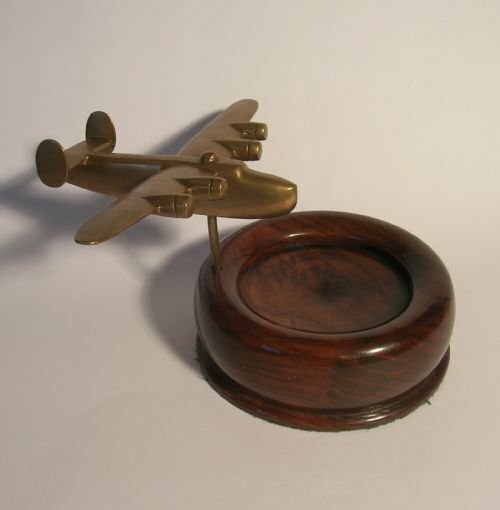 There is a sister piece to this of a "Flying Boat". 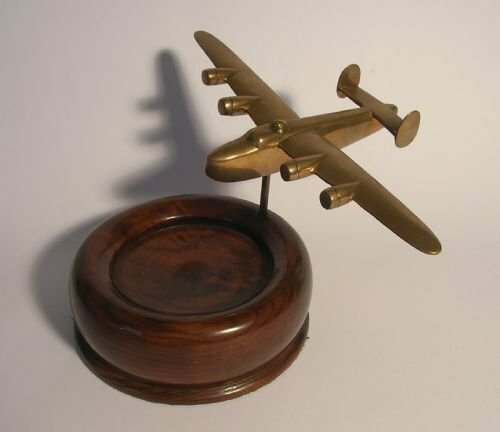 Aircraft wingspan - 5.75" (14.5cms).